Pantomime 2017 is officially over. What? Didn’t it end on New Year’s Eve in Brecon? Many of you will be reading that statement very confused as to why it didn’t end after it’s final performance at Theatr Brycheiniog but for our Jermin Production Team the Pantomime experience isn’t completed until the end of January! After the curtain fell and the last confetti cannon was popped on our Jack and the Beanstalk Tour it was time to pack away the set, deliver the costumes to the dry cleaners, return the props and begin creating our Sponsorship Packages. Once all of these were complete it was then time for us to pack away our Bluestone Pantomime as the last petal fell on their tale as old as time… Beauty and the Beast. And guess what…the whole cycle repeats! It’s now the end of January and we are STILL humming along to those catchy pantomime tunes after our Pantomime Reunion Party which took place on the weekend! It was time for us to grab the tissues and get ready to wave farewell to our wonderful 2017 casts and crew who have helped make this year so special! 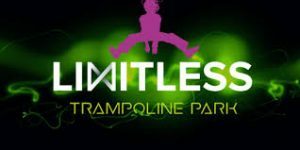 After what has been a very manic year it was time to let our hair down and make a toast to the rave reviews which met both Pantomime Productions last year and what better way to celebrate than joining our friends at Limitless Trampoline Park for one final BEANSTALK and BLUESTONE BOUNCE! 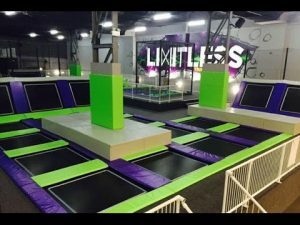 With our Limitless socks at the ready our Panto casts, crew, dancers and juvenile performers transformed into the most competitive sports as we battled it out in a number of games, races and challenges! It was fantastic to see everyone enjoying themselves and laughing about some of the hilarious jokes and things that happened whilst in the thick of Panto season! With everyone worn out it was time for the older cast members to head over to Swansea’s latest obsession OLD HAVANA! 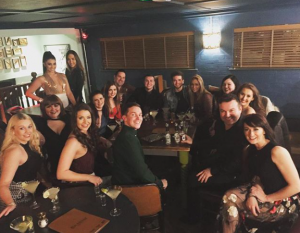 Everyone raves about this trendy new bar and we are not surprised at all, it was the perfect venue to host our Panto get together and the staff were most accommodating! The Panto memories were flooding back and the drinks were flowing so it was time to host our 2018 Panto Awards… Biggest Diva Award… Super Swing Award… and Most Mentioned in the Show Report Awards to name a few! It was a brilliant night bursting with energy and it was great to share it with some uber talented performers! 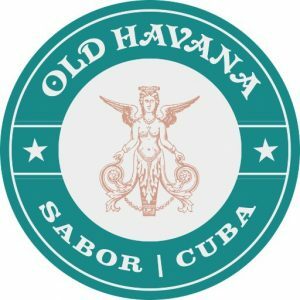 We would like to say a HUGE Thank You to the staff and team at Old Havana who made it such an unforgettable evening! BUT you know what they say…. When one door closes another soon opens… and that is certainly the case this year! 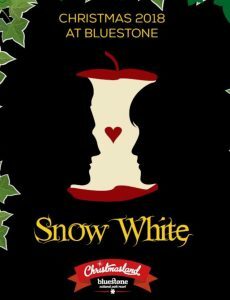 We are eagerly looking forward to our 2018 Pantomime Productions and will be celebrating our triumphant return to Bluestone for the 2018 Christmas season. 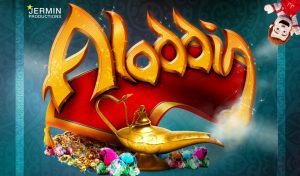 This time we will be producing the equally popular and traditional Snow White and the Seven Dwarfs in addition to our touring production of ALADDIN which will visit a number of theatres across South Wales! We are delighted to be producing two brand new Pantomimes and welcoming a whole host of new and returning audiences members to experience the true magic of a traditional Pantomime!